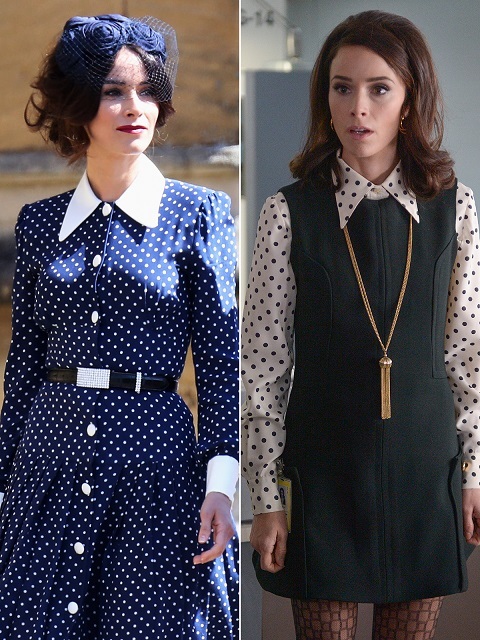 Abigail Spencer, Gulf Breeze native-actress who co-starred in the television series Suits along with Meghan Markle, was among the guests who attended the Royal Wedding on Saturday, May 19 at St George’s Chapel at Windsor Castle. Abigail, who completed her graduation from Gulf Breeze High School, currently appears on the NBC series Timeless. She has also starred in the TV series Rectify. The 36-year-old reality star was a member of the Pensacola Children's Chorus. She debuted her acting career from the show All My Children in which she appeared as Becca. She was 17-year-old. Abigail's father, Yancy Spencer, is the late surfing legend. He is honored with a statue on Pensacola Beach. As previously reported, Prince Harry and the 36-year-old former reality star tied the knot in front of 600 guests, including, Prince William, Kate Middleton, Queen Elizabeth II and Meghan’s mother, Doria Ragland. Besides Abigail, other Suits co-stars, including Rick Hoffman, Sarah Rafferty, Gabriel Macht, Gina Torres, and Meghan's onscreen husband Patrick J. Adams were also in the attendance of the royal wedding ceremony.